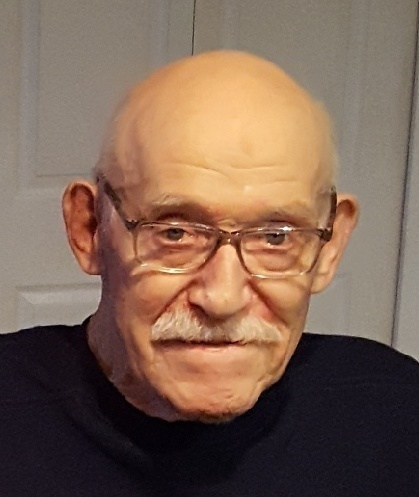 Ralph E. Caven, age 91, of Piqua, OH passed away at 1:20 a.m. on Thursday, April 11, 2019 in his residence. Born on May 22, 1927 in Fletcher, Ohio, Ralph was a son of the late Herbert and Carrie (Randolph) Caven. He and his wife of 64 years Jean (Wight) were married on October 30, 1954 and she survives. Together they raised three children: Gail (Kerry) Hinkle of San Antonio, TX, Kristi (Greg) Curtis of Piqua, OH, and Terry (Rebecca) Caven of San Antonio, TX. He was a loving grandfather to eight grandchildren and seven great grandchildren. In addition to his parents he was preceded in death by brothers Howard and John, and a sister, Marion Combs. Ralph was a 1945 graduate of Sidney High School and he served his country in the U.S. Army during the Korean Conflict. He made his living in concrete construction having worked for Keffer Construction, Charlie Woods, Tom Brown, and retiring from Lavey Construction. He was a lifetime member of the American Legion Post #184 and the AmVets Post #66 of Piqua. Ralph was an avid sports fan, including the San Antonio Spurs, Cleveland Browns, Cincinnati Reds, and The Ohio State Buckeyes. Ralph greatly enjoyed time with his family, spending winters in Texas with children and grandchildren. His love of the outdoors was reflected in perfecting his yard and gardens. Visitation will be held in the Suber-Shively Funeral Home, 201 W. Main Street, Fletcher, Ohio 45326 on Tuesday, April 16, 2019 from 10:00 a.m. to 12:00 p.m. Funeral services will follow at 1:30 p.m. in the Valley Church of Piqua, 1400 Seidel Parkway, Piqua, Ohio 45356 with Pastors Andy Monnin and Stephen Smitley presiding. Burial will follow at 2:30 p.m. in Miami Memorial Park, 7875 Crescent Drive, Covington, Ohio 45318 with military honors by the V.E.T.S. of Piqua. Memorial donations may be made to Ohio’s Hospice of Miami County, P.O. Box 502, Troy, Ohio 45373. Envelopes will be available in the funeral home and church. Condolences to the family may be sent to www.shivelyfuneralhomes.com.